Melatonin is a hormone made in the pineal gland. Melanin is in skin. He will find that very informative. In incoming Islamic western Europe, Whites won`t be allowed. Actually would be hunted for sport. Like foxes in England or like bulls in Spain. Forbidden like pigs and decent sausages. That would become new western Europe. Indeed, and neither matter at all. Unfortunately it does matter to the government of South Africa. Europe, Whites won`t be allowed. Actually would be hunted for sport. Whatever you're smoking sounds interesting. This is a silly and distasteful thread. Yes any time somebody voices any concerns about the way white people are treated anywhere, it's considered distasteful, or even racist, just to mention it. Yet for some reason it isn't so distasteful to show your concern about the plights of other races and ethnicities. Very well, in general. Are you being treated badly? Jon, you really don't have a clue do you? I am not talking about in general or overall, or who gets treated worse more often. If you are against racism, then you should be against racism of any kind when it happens to people of any race. Even if white people get racially discriminated less often than other races [as might well be the case] when you see them bring discriminated, be it farmers in Africa or racist job adverts in the UK that are only open to non-white people, you should call it out, not try to silence those who talk about it. I suppose you believe in the fairytale of white privilege too? If you're white, no matter where you were born, you have this magical white privilege over other races. If you do, I'll assume you also love the identity politics that's constantly used by the left to virtue signal. LOL! You put yourself out as an academic, yet you subscribe to moral relativism. That is hilarious, you have discredited yourself at this point mate, pack it in. So how is 'Wielkipolak' being treated badly? Was I complaining about myself jon? Get a clue. So I should take the anecdotal experience of one white person, and then extrapolate that experience to represent the experiences of all people in that socially constructed group? Seriously dude, where did you go to university with arguments like that. I guess that **** passes for logical and coherent argument in gender studies classes and lesbian dance theory. Why anyone should like or dislike him at all? It is down to personal preferences but it is strange to dislike someone basing on few YouTube films and few TV interviews. Other than that as he a Polish citizen (I presume) he can take a part in Polish public and political life if he so chooses. I don't see issue here. You recognized your reality in my words, didn`t you? News - Who said that Whites aren`t allowed! 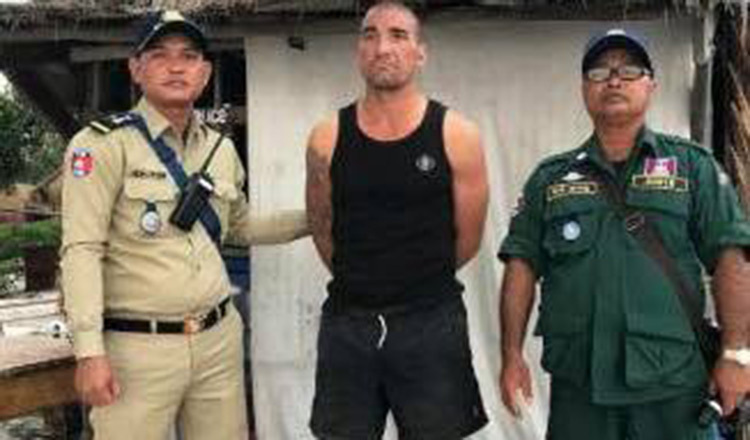 Serbian man is arrested in Cambodia after assaulted Chhorn Sorya, 36, owner of Jungle Bar and Phorn Rithy, 30, a staff member, on Tuesday for refusing to sell him pizza. Bar is completely ruined and almost burned. At the end, it come to be just a misunderstanding. Jungle Bar simply did not have any more pizza left to sell and misunderstanding arose, leading to the violent incident in which Mr Milos accused the bar owner of discrimination of Whites and started to beat him and to turn entire bar into ruin.